A contemplation by David, when the Ziphites came and said to Saul, "Isn’t David hiding himself among us? Ps 54:1 “ Save me, God, by your name. Vindicate me by your might. 2 Hear my prayer, God. Listen to the words of my mouth. 3 For strangers have risen up against me. Violent men have sought after my soul. They haven’t set God before them. Selah. 4 Behold, God is my helper. The Lord is the one who sustains my soul. 5 He will repay the evil to my enemies. Destroy them in your faithfulness. 6 With a free will offering, I will sacrifice to you. I will give thanks to your name, Yahweh, for it is good. 7 For he has delivered me out of all trouble. My eye has seen triumph over my enemies." Observations: David was betrayed to Saul by the Ziphites (his own tribe) in 1 Samuel 23:19 and again in 1 Samuel 26:1. 54:1,6 God's name is put for His reputation, authority, and power. 54:2-3 In contrast to his enemies, David has set God before his eyes, and calls for help. 54:4-7 God reveals Himself to be good, David's helper, deliverer, and the sustainer of his soul, for which David vows to praise Him. Application: The praise that sustains not only our souls, but that of others when they hear about it, is when God reveals His good and faithful character in coming to the aid of His people who trust in Him in difficult times. Prayer: My Helper and God, thanks for being a constant source of strength, and the sustainer of my soul; may I always trust You and praise You for Your deliverance. Amen. Observations: 14:20-27 The fear of the Lord, being careful to do what is right in His sight, not only turns the wise away from the snares of death, but turns them toward wise behavior, and ensures their security. If we care about what God thinks of us, we will care for what He cares about. Most relationships are based upon getting rather than giving, which is why everyone wants to be friendly with the rich, and far away from the poor. Yet God values people based upon other characteristics than the size of their bank account. He has a soft spot in His heart for those that are unjustly poor. All hard work results in profit, but injustice can sweep it away. The ones who fear God will have compassion, and seek to rectify unjust situations, because that is what God will ultimately do. As a result of them reflecting His behavior and values, He will bless them. The wise, who demonstrate hesed and faithfulness as they plan to do good, and work hard at it, saving/redeeming souls/lives, will be crowned with both temporal and eternal riches. The self-centered, and deceitful, who live only for themselves, will be crowned with folly. Choose wisely. Application: Fear of God will not only protect us from temporal and eternal dangers, but result in actions that God will bless. Which of your actions this past week can you attribute to your fear of God? What good are you planning to do? Prayer: Lord, I want to live wisely, reflecting Your character and wisdom; use me to influence others to do the same. Thanks for giving my life meaning and purpose. Amen. 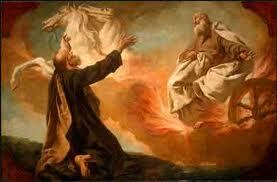 2 Kings 2-5 The mantle of prophet ministry gets passed to Elisha from Elijah, who gets taken to heaven in a whirlwind. God authenticates Elisha as he serves the needs of God's people and those who seek Him. Those who don't honor and obey God lose, and those who do honor and obey Him, get blessed. 2:1 It happened, when Yahweh would take up Elijah by a whirlwind into heaven, that Elijah went with Elisha from Gilgal. 2 Elijah said to Elisha, "Please wait here, for Yahweh has sent me as far as Bethel." Elisha said, "As Yahweh lives, and as your soul lives, I will not leave you." So they went down to Bethel. 3 The sons of the prophets who were at Bethel came out to Elisha, and said to him, "Do you know that Yahweh will take away your master from your head today?" He said, "Yes, I know it; hold your peace." 4 Elijah said to him, "Elisha, please wait here, for Yahweh has sent me to Jericho" 6...Yahweh has sent me to the Jordan. "...7 Fifty men of the sons of the prophets went, and stood opposite them at a distance; and they both stood by the Jordan. 8 Elijah took his mantle, and wrapped it together, and struck the waters, and they were divided here and there, so that they two went over on dry ground. 9 It happened, when they had gone over, that Elijah said to Elisha, "Ask what I shall do for you, before I am taken from you." Elisha said, "Please let a double portion of your spirit be on me." 10 He said, "You have asked a hard thing. If you see me when I am taken from you, it shall be so for you; but if not, it shall not be so." 11 It happened, as they still went on, and talked, that behold, a chariot of fire and horses of fire separated them; and Elijah went up by a whirlwind into heaven. 12 Elisha saw it, and he cried, "My father, my father, the chariots of Israel and its horsemen!" He saw him no more: and he took hold of his own clothes, and tore them in two pieces. 13 He took up also the mantle of Elijah that fell from him, and went back, and stood by the bank of the Jordan. 14 He took the mantle of Elijah that fell from him, and struck the waters, and said, "Where is Yahweh, the God of Elijah?" When he also had struck the waters, they were divided here and there; and Elisha went over. 15 When the sons of the prophets who were at Jericho over against him saw him, they said, "The spirit of Elijah rests on Elisha." They came to meet him, and bowed themselves to the ground before him. 16 They said to him, "See now, there are with your servants fifty strong men. Please let them go and seek your master. Perhaps the Spirit of Yahweh has taken him up, and put him on some mountain, or into some valley. He said, "You shall not send them." 17 When they urged him until he was ashamed, he said, "Send them." They sent therefore fifty men; and they searched for three days, but didn’t find him. 18 They came back to him, while he stayed at Jericho; and he said to them, "Didn’t I tell you, ‘Don’t go?’"
19 The men of the city said to Elisha, "Behold, please, the situation of this city is pleasant, as my lord sees; but the water is bad, and the land miscarries." 20 He said, "Bring me a new jar, and put salt in it." They brought it to him. 21 He went out to the spring of the waters, and threw salt into it, and said, "Thus says Yahweh, ‘I have healed these waters. There shall not be from there any more death or miscarrying.’" 22 So the waters were healed to this day, according to the word of Elisha which he spoke. 23 He went up from there to Bethel. As he was going up by the way, some youths came out of the city and mocked him, and said to him, "Go up, you baldy! Go up, you baldhead!" 24 He looked behind him and saw them, and cursed them in the name of Yahweh. Two female bears came out of the woods, and mauled forty-two of those youths. 25 He went from there to Mount Carmel, and from there he returned to Samaria. Observations: 2:1-7 Elisha loyally refuses to leave even though Elijah invites him to, possibly because he knew that godly people frequently blessed others at the end of their lives. Elijah starts his final journey from Gilgal, probably his residence, and goes to Bethel, where Abram first called upon the name of Yahweh. It was also where Jacob also did, and God spoke with him there. An unnamed prophet had destroyed a Baal altar and withered Jeroboam's hand there, and it contained a school of the prophets. Jericho, the site of Israel's first conquest after passing through the Jordan was the next destination, and another school of the prophets. Perhaps God is bringing to mind the history of His dealings with His people, or gathering an audience to witness the next events. 2:8-12 Just like God parted the Jordan to authenticate Joshua as Moses' successor (~500 years earlier), now God validates Elisha as His spokesman in place of Elijah. Elisha asks for a double portion of Elijah's spirit, and gets it, and his mantle. 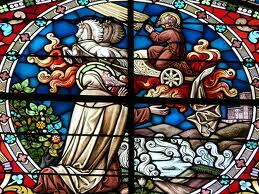 Elijah goes to heaven in a fiery chariot, and Elisha goes on to do double the miracles Elijah did. Like Enoch, God took Elisha without having him die. Some think Enoch and Elijah will be the two prophets in the Book of Revelations, who come back to earth to witness and die (a fate of all children of Adam). Elijah was last seen on the mount of transfiguration, with Moses and Jesus, talking about the future Kingdom (Matthew 17). 2:13- Elisha picks up Elijah's mantle, both literally and figuratively and carries on the miracle working. After calling on God and parting the Jordan, he does his first water provision miracle in Yahweh's name, healing the town's spring. Forty-two youths mock the man of God, and Yahweh sends a couple of bears to correct their disrespect. Not as spectacular as Elijah on Mt. Carmel, but miraculous nevertheless. Those who don't respect God, don't respect those who speak His truth (cx the Shunammite in 4:8 below). Application: God gives power to the faithful to serve His people and cause others to honor His name. Prayer: God of Elijah, use me to bring Your truth and life to those who don't know and serve You. Amen. 3:1 Now Jehoram the son of Ahab began to reign over Israel in Samaria in the eighteenth year of Jehoshaphat king of Judah, and reigned twelve years. 2 He did that which was evil in the sight of Yahweh, but not like his father, and like his mother; for he put away the pillar of Baal that his father had made. 3 Nevertheless he held to the sins of Jeroboam the son of Nebat, with which he made Israel to sin; he didn’t depart from it. 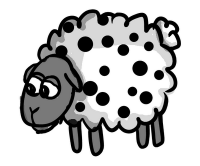 4 Now Mesha king of Moab was a sheep breeder; and he rendered to the king of Israel the wool of one hundred thousand lambs, and of one hundred thousand rams. 5 But it happened, when Ahab was dead, that the king of Moab rebelled against the king of Israel. 6 King Jehoram went out of Samaria at that time, and mustered all Israel. 7 He went and sent to Jehoshaphat the king of Judah, saying, "The king of Moab has rebelled against me. Will you go with me against Moab to battle?" He said, "I will go up. I am as you are, my people as your people, my horses as your horses." 8 He said, "Which way shall we go up?" He answered, "The way of the wilderness of Edom." 9 So the king of Israel went, and the king of Judah, and the king of Edom; and they made a circuit of seven days’ journey. There was no water for the army, nor for the animals that followed them. 10 The king of Israel said, "Alas! For Yahweh has called these three kings together to deliver them into the hand of Moab." 11 But Jehoshaphat said, "Isn’t there here a prophet of Yahweh, that we may inquire of the Lord by him?" One of the king of Israel’s servants answered, "Elisha the son of Shaphat is here, who poured water on the hands of Elijah." 12 Jehoshaphat said, "The word of Yahweh is with him." So the king of Israel and Jehoshaphat and the king of Edom went down to him. 13 Elisha said to the king of Israel, "What have I to do with you? Go to the prophets of your father, and to the prophets of your mother." The king of Israel said to him, "No; for Yahweh has called these three kings together to deliver them into the hand of Moab." 14 Elisha said, "As Lord of Hosts lives, before whom I stand, surely, were it not that I respect the presence of Jehoshaphat the king of Judah, I would not look toward you, nor see you. 15 But now bring me a minstrel." It happened, when the minstrel played, that the hand of Yahweh came on him. 16 He said, "Thus says Yahweh, ‘Make this valley full of trenches.’ 17 For thus says Yahweh, ‘You will not see wind, neither will you see rain; yet that valley shall be filled with water, and you will drink, both you and your livestock and your animals. 18 This is but a light thing in the sight of Yahweh. He will also deliver the Moabites into your hand. 19 You shall strike every fortified city, and every choice city, and shall fell every good tree, and stop all springs of water, and mar every good piece of land with stones.’"
20 It happened in the morning, about the time of offering the offering, that behold, water came by the way of Edom, and the country was filled with water. 21 Now when all the Moabites heard that the kings had come up to fight against them, they gathered themselves together, all who were able to put on armor, and upward, and stood on the border. 22 They rose up early in the morning, and the sun shone on the water, and the Moabites saw the water over against them as red as blood. 23 They said, "This is blood. The kings are surely destroyed, and they have struck each other. Now therefore, Moab, to the spoil!" 24 When they came to the camp of Israel, the Israelites rose up and struck the Moabites, so that they fled before them; and they went forward into the land smiting the Moabites. 25 They beat down the cities; and on every good piece of land they cast every man his stone, and filled it; and they stopped all the springs of water, and felled all the good trees, until in Kir Hareseth only they left its stones; however the men armed with slings went about it, and struck it. 26 When the king of Moab saw that the battle was too severe for him, he took with him seven hundred men who drew sword, to break through to the king of Edom; but they could not. 27 Then he took his eldest son who would have reigned in his place, and offered him for a burnt offering on the wall. There was great wrath against Israel: and they departed from him, and returned to their own land." 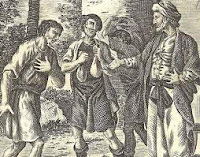 Observations: 3:1-3 Ahab's son Jehoram was not as dumb as his father (must have taken after mom Jezebel), and learned a little something from Ahab's discipline. 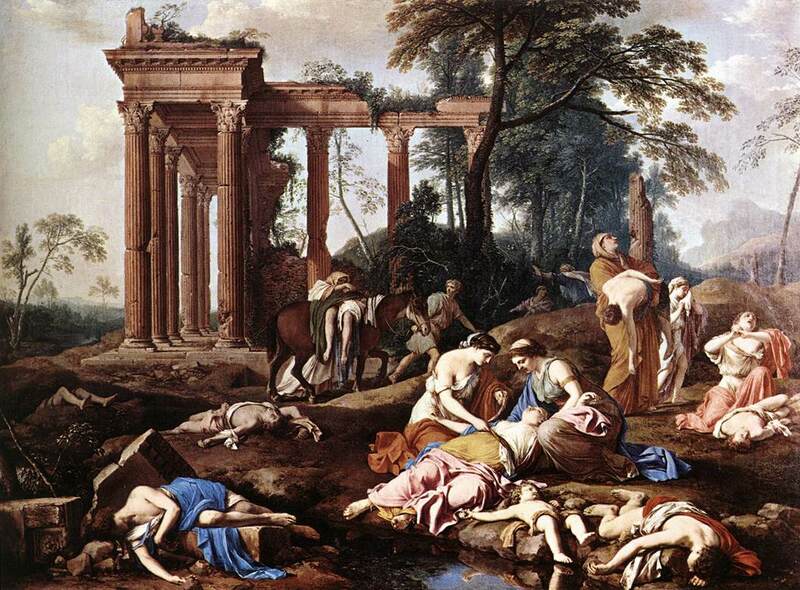 Jehoram takes away Ahab's Baal pillar, but continues in the sin of Jeroboam in having an alternative worship center, thus causing Israel to sin. Lot's of folks think that if you just do or don't do a couple of major things, everything is fine with God. Not so, if we want to be right with God, we must do what is right in His sight, all the way. 3:4-19 Jehoram calls Jehoshaphat to fight Moab's rebellion, a mutual enemy. Jehoshaphat agrees, and then when in difficulty, seeks God's counsel (should have done it first). Jehoram lies to Elisha, who sees through him. Yahweh didn't initiate the battle, but Elisha seeks God's word, and promises water (his second water miracle), and that Yahweh will deliver the Moabites into their hand, giving instructions for the destruction of Moab. 3:20-27 God makes good on His promises as spoken through Elisha and Moab is ruined, even though the king sacrificed his most precious eldest son to his god. The Mesha Stele (Moabite Stone, in the Louvre) contains the Moabite king's (Mesha) account of this battle (and others with Israel, mentioning the house of David and Yahweh) attributing victory to his god Kemosh/Chemosh. He doesn't mention losing the war, but claims victory, because in 3:27, after the sacrifice of His son, there was wrath against Israel and they departed, leaving the king alive and the city unconquered. Looks like Mesha has a greater dependence upon his god than the Israelites did on theirs, even though Yahweh delivered them in this “un-mandated” battle. Application: Complete obedience to God is necessary for complete blessing. Prayer: God, I won't be content to halfheartedly follow You, because You want me to obey You with all my heart and all my soul, and by Your grace, I will. Amen. 4:1 Now there cried a certain woman of the wives of the sons of the prophets to Elisha, saying, "Your servant my husband is dead. You know that your servant feared Yahweh. Now the creditor has come to take for himself my two children to be slaves." 2 Elisha said to her, "What shall I do for you? Tell me: what do you have in the house?" She said, "Your handmaid has nothing in the house, except a pot of oil." 3 Then he said, "Go, borrow containers from of all your neighbors, even empty containers. Don’t borrow just a few. 4 You shall go in, and shut the door on you and on your sons, and pour out into all those containers; and you shall set aside that which is full." 5 So she went from him, and shut the door on her and on her sons; they brought the containers to her, and she poured out. 6 It happened, when the containers were full, that she said to her son, "Bring me another container." He said to her, "There isn’t another container." The oil stopped flowing. 7 Then she came and told the man of God. He said, "Go, sell the oil, and pay your debt; and you and your sons live on the rest." 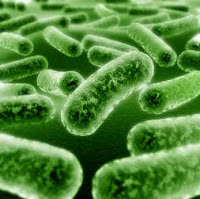 8 It fell on a day, that Elisha passed to Shunem, where there was a prominent woman; and she persuaded him to eat bread. So it was, that as often as he passed by, he turned in there to eat bread. 9 She said to her husband, "See now, I perceive that this is a holy man of God, that passes by us continually. 10 Please let us make a little room on the wall. Let us set for him there a bed, a table, a chair, and a lamp stand. It shall be, when he comes to us, that he shall turn in there." 11 One day he came there, and he turned into the room and lay there. 12 He said to Gehazi his servant, "Call this Shunammite." When he had called her, she stood before him. 13 He said to him, "Say now to her, ‘Behold, you have cared for us with all this care. What is to be done for you? Would you like to be spoken for to the king, or to the captain of the army?’" She answered, "I dwell among my own people." 14 He said, "What then is to be done for her?" Gehazi answered, "Most certainly she has no son, and her husband is old." 15 He said, "Call her." When he had called her, she stood in the door. 16 He said, "At this season, when the time comes around, you will embrace a son." She said, "No, my lord, you man of God, do not lie to your handmaid." 17 The woman conceived, and bore a son at that season, when the time came around, as Elisha had said to her. 18 When the child was grown, it happened one day that he went out to his father to the reapers. 19 He said to his father, "My head! My head!" He said to his servant, "Carry him to his mother." 20 When he had taken him, and brought him to his mother, he sat on her knees until noon, and then died. 21 She went up and laid him on the bed of the man of God, and shut the door on him, and went out. 22 She called to her husband, and said, "Please send me one of the servants, and one of the donkeys, that I may run to the man of God, and come again." 23 He said, "Why would you want go to him today? It is neither new moon nor Sabbath." She said, "It’s alright." 24 Then she saddled a donkey, and said to her servant, "Drive, and go forward! Don’t slow down for me, unless I ask you to." 25 So she went, and came to the man of God to Mount Carmel. 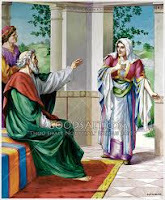 It happened, when the man of God saw her afar off, that he said to Gehazi his servant, "Behold, there is the Shunammite. 26 Please run now to meet her, and ask her, ‘Is it well with you? Is it well with your husband? Is it well with the child?’" She answered, "It is well." 27 When she came to the man of God to the hill, she caught hold of his feet. 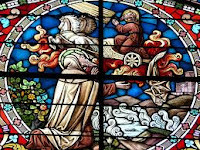 Gehazi came near to thrust her away; but the man of God said, "Leave her alone; for her soul is troubled within her; and Yahweh has hidden it from me, and has not told me." 28 Then she said, "Did I desire a son of my lord? Didn’t I say, Do not deceive me?" 29 Then he said to Gehazi, "Tuck your cloak into your belt, take my staff in your hand, and go your way. If you meet any man, don’t greet him; and if anyone greets you, don’t answer him again. Then lay my staff on the face of the child." 30 The mother of the child said, "As Yahweh lives, and as your soul lives, I will not leave you." He arose, and followed her. 31 Gehazi passed on before them, and laid the staff on the face of the child; but there was neither voice, nor hearing. Therefore he returned to meet him, and told him, saying, "The child has not awakened." 32 When Elisha had come into the house, behold, the child was dead, and laid on his bed. 33 He went in therefore, and shut the door on them both, and prayed to Yahweh. 34 He went up, and lay on the child, and put his mouth on his mouth, and his eyes on his eyes, and his hands on his hands. He stretched himself on him; and the flesh of the child grew warm. 35 Then he returned, and walked in the house once back and forth; and went up, and stretched himself on him. Then the child sneezed seven times, and the child opened his eyes. 36 He called Gehazi, and said, "Call this Shunammite!" So he called her. When she had come in to him, he said, "Take up your son." 37 Then she went in, and fell at his feet, and bowed herself to the ground; and she took up her son, and went out. 38 Elisha came again to Gilgal. There was a famine in the land; and the sons of the prophets were sitting before him; and he said to his servant, "Set on the great pot, and boil stew for the sons of the prophets." 39 One went out into the field to gather herbs, and found a wild vine, and gathered of it wild gourds his lap full, and came and shred them into the pot of stew; for they didn’t recognize them. 40 So they poured out for the men to eat. It happened, as they were eating of the stew, that they cried out, and said, "Man of God, there is death in the pot!" They could not eat of it. 41 But he said, "Then bring meal." 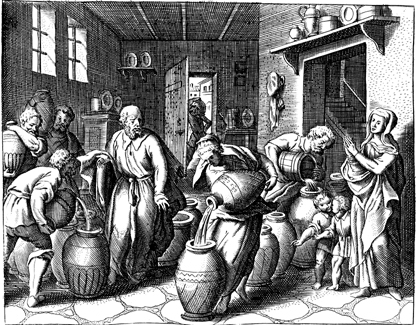 He cast it into the pot; and he said, "Pour out for the people, that they may eat." There was no harm in the pot. 42 A man from Baal Shalishah came, and brought the man of God bread of the first fruits, twenty loaves of barley, and fresh ears of grain in his sack. He said, "Give to the people, that they may eat." 43 His servant said, "What, should I set this before a hundred men?" But he said, "Give the people, that they may eat; for thus says Yahweh, ‘They will eat, and will have some left over.’" 44 So he set it before them, and they ate, and left some of it, according to the word of Yahweh." Observations: 4:1-7 Because her husband feared God, He uses supernaturally charged natural means to meet her need. She didn't know all that would happen, only the instruction to borrow containers. Her blessing was proportionate to her obedience. 4:8-37 A rich, Shunammite woman noticed and served the need of Elisha for food and rest. He desires to bless her for her service to him, but she is content with her life, and has no unmet need. He promises her that she will bear and embrace a son, in contrast to the sons in 2:23 who were embraced by a bear. The son grows up and has possibly a stroke and dies. The Shunammite heads directly to Elisha for help, bypassing Gehazi. Similar to Elisha's refusal to leave Elijah until blessed, she refuses to leave Elisha until a blessing is secured. The staff proves an inadequate means of resurrection, so Elisha uses the CPR technique (contact, prayer, resurrection) that Elijah had used (1 Kings 17:21) to restore her son to her. 4:38-44 A famine was in the land, but God still provided for His servants, as He had fed Elijah. Elisha does two food miracles for those who are serving God (sons of the prophets), and God provides more than they need. Application: God honors and blesses those who honor serve Him, be they rich or poor. Prayer: God, thanks that You take care of Your servants and reward those who honor You. May I always be the recipient of Your gracious care. Amen. 5:1 Now Naaman, captain of the army of the king of Syria, was a great man with his master, and honorable, because by him Yahweh had given victory to Syria: he was also a mighty man of valor, but he was a leper. 2 The Syrians had gone out in bands, and had brought away captive out of the land of Israel a little maiden; and she waited on Naaman’s wife. 3 She said to her mistress, "I wish that my lord were with the prophet who is in Samaria! Then he would heal him of his leprosy." 4 Someone went in, and told his lord, saying, "The maiden who is from the land of Israel said this." 5 The king of Syria said, "Go now, and I will send a letter to the king of Israel." He departed, and took with him ten talents of silver, and six thousand pieces of gold, and ten changes of clothing. 6 He brought the letter to the king of Israel, saying, "Now when this letter has come to you, behold, I have sent Naaman my servant to you, that you may heal him of his leprosy." 7 It happened, when the king of Israel had read the letter, that he tore his clothes, and said, "Am I God, to kill and to make alive, that this man sends to me to heal a man of his leprosy? But please consider and see how he seeks a quarrel against me." 8 It was so, when Elisha the man of God heard that the king of Israel had torn his clothes, that he sent to the king, saying, "Why have you torn your clothes? Let him come now to me, and he shall know that there is a prophet in Israel." 9 So Naaman came with his horses and with his chariots, and stood at the door of the house of Elisha. 10 Elisha sent a messenger to him, saying, "Go and wash in the Jordan seven times, and your flesh shall come again to you, and you shall be clean." 11 But Naaman was angry, and went away, and said, "Behold, I thought, ‘He will surely come out to me, and stand, and call on the name of Yahweh his God, and wave his hand over the place, and heal the leper.’ 12 Aren’t Abanah and Pharpar, the rivers of Damascus, better than all the waters of Israel? Couldn’t I wash in them, and be clean?" So he turned and went away in a rage. 13 His servants came near, and spoke to him, and said, "My father, if the prophet had asked you do some great thing, wouldn’t you have done it? How much rather then, when he says to you, ‘Wash, and be clean?’" 14 Then went he down, and dipped himself seven times in the Jordan, according to the saying of the man of God; and his flesh was restored like the flesh of a little child, and he was clean. 15 He returned to the man of God, he and all his company, and came, and stood before him; and he said, "See now, I know that there is no God in all the earth, but in Israel. Now therefore, please take a gift from your servant." 16 But he said, "As Yahweh lives, before whom I stand, I will receive none." He urged him to take it; but he refused. 17 Naaman said, "If not, then, please let two mules’ burden of earth be given to your servant; for your servant will from now on offer neither burnt offering nor sacrifice to other gods, but to Yahweh. 18 In this thing may Yahweh pardon your servant: when my master goes into the house of Rimmon to worship there, and he leans on my hand, and I bow myself in the house of Rimmon. When I bow myself in the house of Rimmon, may Yahweh pardon your servant in this thing." 19 He said to him, "Go in peace." So he departed from him a little way. 20 But Gehazi the servant of Elisha the man of God, said, "Behold, my master has spared this Naaman the Syrian, in not receiving at his hands that which he brought. As Yahweh lives, I will run after him, and take something from him." 21 So Gehazi followed after Naaman. 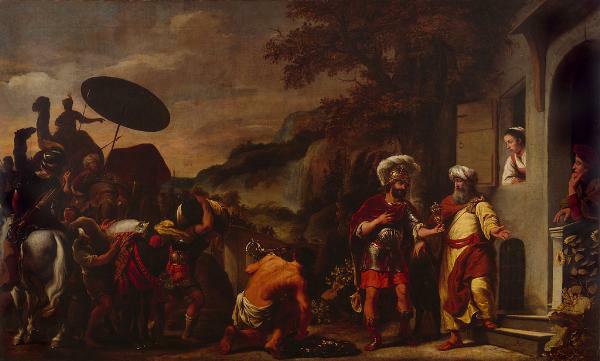 When Naaman saw one running after him, he came down from the chariot to meet him, and said, "Is all well?" 22 He said, "All is well. My master has sent me, saying, ‘Behold, even now two young men of the sons of the prophets have come to me from the hill country of Ephraim. Please give them a talent of silver and two changes of clothing.’" 23 Naaman said, "Be pleased to take two talents." He urged him, and bound two talents of silver in two bags, with two changes of clothing, and laid them on two of his servants; and they carried them before him. 24 When he came to the hill, he took them from their hand, and stored them in the house. Then he let the men go, and they departed. 25 But he went in, and stood before his master. Elisha said to him, "Where did you come from, Gehazi?" He said, "Your servant went nowhere." 26 He said to him, "Didn’t my heart go with you, when the man turned from his chariot to meet you? Is it a time to receive money, and to receive garments, and olive groves and vineyards, and sheep and cattle, and male servants and female servants? 27 Therefore the leprosy of Naaman will cling to you and to your seed forever." He went out from his presence a leper, as white as snow." Observations: 5:1-8 God had given victory to the Syrians in order to judge Israel. An Israelite servant girl has faith in God's prophet Elisha, even though she has been taken captive. She also serves her master, desiring his best, and “evangelizes” Naaham. The Syrain king Ben Hadad II sends Naaham and gifts to Israel for healing. Jehoram doesn't believe that God can heal, as the servant girl did, but Elisha shows up to remind him that Yahweh can. 5:9-19 Naaham almost misses out on his blessing due to his preconceptions of how God and prophets should work. 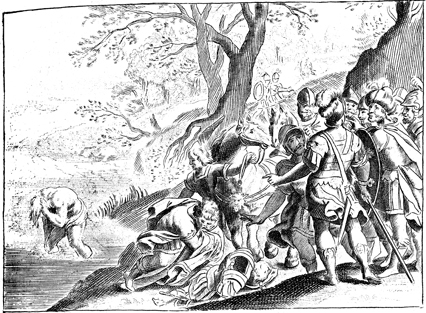 Fortunately his servants persuade him to take the plunge (seven times) and he is cleansed. Now a believer in Yahweh, he seeks to give gifts, but perhaps for reputation's sake, or to show that God can't be bribed as the Syrian gods, or that God is gracious, or that grace is free, Elisha refuses to take anything. Naaman takes a couple of mule loads of dirt, so he can worship Yahweh back home. Most pagans believed that the gods were territorial spirits, and one had to worship them in the territory over which they ruled. Naamam vows to offer sacrifices only to Yahweh, but asks for pardon for those times when he must bow when Ben Hadad bowed to his god. If one's head was above the king's one lost it. 5:20-27 Gehazi loses big time because of his greed. He lies to Naamam to get his money, and then to Elisha, and gets Naamam's leprosy for himself and his offspring. He loses out on continuing as Elisha's servant and getting his blessing as well. All for money and clothes he didn't need. If he needed it, God would have given it. Greed is idolatry (Colossians 3:5). Application: Those who have faith in God's power, don't need to seek it apart from Him. Prayer: God, You are awesome in blessing those who follow Your direction, and fearsome in cursing those who don't; may I never fail to trust and obey You. Amen. God in a nutshell: God uses miracles to authenticate His spokesman so people will put their trust in His word. In the process, He meets the needs of His servants, but not everyone. He blesses those who honor and serve Him, and seek His blessing. He delivers from difficulties of our own making when it serves His greater purposes. Us in a nutshell: We have an opportunity to be blessed by God and bring Him glory on earth by doing the works He has for us to do. If we trust God, seek and do His will, and serve others, He will take care of us. If we don't, we suffer loss. If we are following God, we can expect ridicule from those who don't honor Him. We can miss out on blessing by being halfhearted in service, or insisting that God do things our way. 2:1 It happened, when Yahweh would take up Elijah by a whirlwind into heaven, that Elijah went with Elisha from Gilgal. 2 Elijah said to Elisha, "Please wait here, for Yahweh has sent me as far as Bethel." Elisha said, "As Yahweh lives, and as your soul lives, I will not leave you." So they went down to Bethel. 3 The sons of the prophets who were at Bethel came out to Elisha, and said to him, "Do you know that Yahweh will take away your master from your head today?" He said, "Yes, I know it; hold your peace." 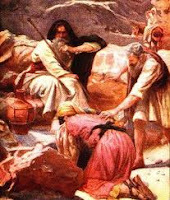 4 Elijah said to him, "Elisha, please wait here, for Yahweh has sent me to Jericho." He said, "As Yahweh lives, and as your soul lives, I will not leave you." So they came to Jericho. 5 The sons of the prophets who were at Jericho came near to Elisha, and said to him, "Do you know that Yahweh will take away your master from your head today?" He answered, "Yes, I know it. Hold your peace." 6 Elijah said to him, "Please wait here, for Yahweh has sent me to the Jordan." He said, "As Yahweh lives, and as your soul lives, I will not leave you." They both went on. 7 Fifty men of the sons of the prophets went, and stood opposite them at a distance; and they both stood by the Jordan. 8 Elijah took his mantle, and wrapped it together, and struck the waters, and they were divided here and there, so that they two went over on dry ground. 19 The men of the city said to Elisha, "Behold, please, the situation of this city is pleasant, as my lord sees; but the water is bad, and the land miscarries." 20 He said, "Bring me a new jar, and put salt in it." They brought it to him. 21 He went out to the spring of the waters, and threw salt into it, and said, "Thus says Yahweh, ‘I have healed these waters. There shall not be from there any more death or miscarrying.’" 22 So the waters were healed to this day, according to the word of Elisha which he spoke. 23 He went up from there to Bethel. As he was going up by the way, some youths came out of the city and mocked him, and said to him, "Go up, you baldy! Go up, you baldhead!" 24 He looked behind him and saw them, and cursed them in the name of Yahweh. Two female bears came out of the woods, and mauled forty-two of those youths. 25 He went from there to Mount Carmel, and from there he returned to Samaria. 3:1 Now Jehoram the son of Ahab began to reign over Israel in Samaria in the eighteenth year of Jehoshaphat king of Judah, and reigned twelve years. 2 He did that which was evil in the sight of Yahweh, but not like his father, and like his mother; for he put away the pillar of Baal that his father had made. 3 Nevertheless he held to the sins of Jeroboam the son of Nebat, with which he made Israel to sin; he didn’t depart from it. 4 Now Mesha king of Moab was a sheep breeder; and he rendered to the king of Israel the wool of one hundred thousand lambs, and of one hundred thousand rams. 5 But it happened, when Ahab was dead, that the king of Moab rebelled against the king of Israel. 6 King Jehoram went out of Samaria at that time, and mustered all Israel. 7 He went and sent to Jehoshaphat the king of Judah, saying, "The king of Moab has rebelled against me. Will you go with me against Moab to battle?" He said, "I will go up. I am as you are, my people as your people, my horses as your horses." 8 He said, "Which way shall we go up?" He answered, "The way of the wilderness of Edom." 9 So the king of Israel went, and the king of Judah, and the king of Edom; and they made a circuit of seven days’ journey. There was no water for the army, nor for the animals that followed them. 10 The king of Israel said, "Alas! For Yahweh has called these three kings together to deliver them into the hand of Moab." 11 But Jehoshaphat said, "Isn’t there here a prophet of Yahweh, that we may inquire of the Lord by him?" One of the king of Israel’s servants answered, "Elisha the son of Shaphat is here, who poured water on the hands of Elijah." 12 Jehoshaphat said, "The word of Yahweh is with him." So the king of Israel and Jehoshaphat and the king of Edom went down to him. 13 Elisha said to the king of Israel, "What have I to do with you? Go to the prophets of your father, and to the prophets of your mother." The king of Israel said to him, "No; for Yahweh has called these three kings together to deliver them into the hand of Moab." 14 Elisha said, "As Yahweh of Armies lives, before whom I stand, surely, were it not that I respect the presence of Jehoshaphat the king of Judah, I would not look toward you, nor see you. 15 But now bring me a minstrel." It happened, when the minstrel played, that the hand of Yahweh came on him. 16 He said, "Thus says Yahweh, ‘Make this valley full of trenches.’ 17 For thus says Yahweh, ‘You will not see wind, neither will you see rain; yet that valley shall be filled with water, and you will drink, both you and your livestock and your animals. 18 This is but a light thing in the sight of Yahweh. He will also deliver the Moabites into your hand. 19 You shall strike every fortified city, and every choice city, and shall fell every good tree, and stop all springs of water, and mar every good piece of land with stones.’"
20 It happened in the morning, about the time of offering the offering, that behold, water came by the way of Edom, and the country was filled with water. 21 Now when all the Moabites heard that the kings had come up to fight against them, they gathered themselves together, all who were able to put on armour, and upward, and stood on the border. 22 They rose up early in the morning, and the sun shone on the water, and the Moabites saw the water over against them as red as blood. 23 They said, "This is blood. The kings are surely destroyed, and they have struck each other. Now therefore, Moab, to the spoil!" 24 When they came to the camp of Israel, the Israelites rose up and struck the Moabites, so that they fled before them; and they went forward into the land smiting the Moabites. 25 They beat down the cities; and on every good piece of land they cast every man his stone, and filled it; and they stopped all the springs of water, and felled all the good trees, until in Kir Hareseth only they left its stones; however the men armed with slings went about it, and struck it. 26 When the king of Moab saw that the battle was too severe for him, he took with him seven hundred men who drew sword, to break through to the king of Edom; but they could not. 27 Then he took his eldest son who would have reigned in his place, and offered him for a burnt offering on the wall. There was great wrath against Israel: and they departed from him, and returned to their own land. 4:1 Now there cried a certain woman of the wives of the sons of the prophets to Elisha, saying, "Your servant my husband is dead. You know that your servant feared Yahweh. 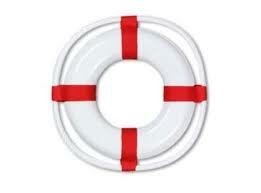 Now the creditor has come to take for himself my two children to be slaves." 2 Elisha said to her, "What shall I do for you? Tell me: what do you have in the house?" She said, "Your handmaid has nothing in the house, except a pot of oil." 3 Then he said, "Go, borrow containers from of all your neighbours, even empty containers. Don’t borrow just a few. 4 You shall go in, and shut the door on you and on your sons, and pour out into all those containers; and you shall set aside that which is full." 5 So she went from him, and shut the door on her and on her sons; they brought the containers to her, and she poured out. 6 It happened, when the containers were full, that she said to her son, "Bring me another container." He said to her, "There isn’t another container." The oil stopped flowing. 7 Then she came and told the man of God. He said, "Go, sell the oil, and pay your debt; and you and your sons live on the rest." 18 When the child was grown, it happened one day that he went out to his father to the reapers. 19 He said to his father, "My head! My head!" He said to his servant, "Carry him to his mother." 20 When he had taken him, and brought him to his mother, he sat on her knees until noon, and then died. 21 She went up and laid him on the bed of the man of God, and shut the door on him, and went out. 22 She called to her husband, and said, "Please send me one of the servants, and one of the donkeys, that I may run to the man of God, and come again." 23 He said, "Why would you want go to him today? It is neither new moon nor Sabbath." She said, "It’s alright." 24 Then she saddled a donkey, and said to her servant, "Drive, and go forward! Don’t slow down for me, unless I ask you to." 25 So she went, and came to the man of God to Mount Carmel. It happened, when the man of God saw her afar off, that he said to Gehazi his servant, "Behold, there is the Shunammite. 26 Please run now to meet her, and ask her, ‘Is it well with you? Is it well with your husband? Is it well with the child?’" She answered, "It is well." 27 When she came to the man of God to the hill, she caught hold of his feet. Gehazi came near to thrust her away; but the man of God said, "Leave her alone; for her soul is troubled within her; and Yahweh has hidden it from me, and has not told me." 28 Then she said, "Did I desire a son of my lord? Didn’t I say, Do not deceive me?" 29 Then he said to Gehazi, "Tuck your cloak into your belt, take my staff in your hand, and go your way. If you meet any man, don’t greet him; and if anyone greets you, don’t answer him again. Then lay my staff on the face of the child." 30 The mother of the child said, "As Yahweh lives, and as your soul lives, I will not leave you." He arose, and followed her. 31 Gehazi passed on before them, and laid the staff on the face of the child; but there was neither voice, nor hearing. Therefore he returned to meet him, and told him, saying, "The child has not awakened." 32 When Elisha had come into the house, behold, the child was dead, and laid on his bed. 33 He went in therefore, and shut the door on them both, and prayed to Yahweh. 34 He went up, and lay on the child, and put his mouth on his mouth, and his eyes on his eyes, and his hands on his hands. 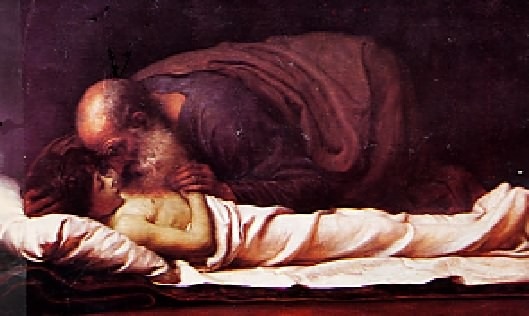 He stretched himself on him; and the flesh of the child grew warm. 35 Then he returned, and walked in the house once back and forth; and went up, and stretched himself on him. Then the child sneezed seven times, and the child opened his eyes. 36 He called Gehazi, and said, "Call this Shunammite!" So he called her. When she had come in to him, he said, "Take up your son." 37 Then she went in, and fell at his feet, and bowed herself to the ground; and she took up her son, and went out. 38 Elisha came again to Gilgal. There was a famine in the land; and the sons of the prophets were sitting before him; and he said to his servant, "Set on the great pot, and boil stew for the sons of the prophets." 39 One went out into the field to gather herbs, and found a wild vine, and gathered of it wild gourds his lap full, and came and shred them into the pot of stew; for they didn’t recognize them. 40 So they poured out for the men to eat. It happened, as they were eating of the stew, that they cried out, and said, "Man of God, there is death in the pot!" They could not eat of it. 41 But he said, "Then bring meal." He cast it into the pot; and he said, "Pour out for the people, that they may eat." There was no harm in the pot. 42 A man from Baal Shalishah came, and brought the man of God bread of the first fruits, twenty loaves of barley, and fresh ears of grain in his sack. He said, "Give to the people, that they may eat." 43 His servant said, "What, should I set this before a hundred men?" But he said, "Give the people, that they may eat; for thus says Yahweh, ‘They will eat, and will have some left over.’" 44 So he set it before them, and they ate, and left some of it, according to the word of Yahweh. 5:1 Now Naaman, captain of the army of the king of Syria, was a great man with his master, and honourable, because by him Yahweh had given victory to Syria: he was also a mighty man of valour, but he was a leper. 2 The Syrians had gone out in bands, and had brought away captive out of the land of Israel a little maiden; and she waited on Naaman’s wife. 3 She said to her mistress, "I wish that my lord were with the prophet who is in Samaria! Then he would heal him of his leprosy." 4 Someone went in, and told his lord, saying, "The maiden who is from the land of Israel said this." 5 The king of Syria said, "Go now, and I will send a letter to the king of Israel." He departed, and took with him ten talents of silver, and six thousand pieces of gold, and ten changes of clothing. 6 He brought the letter to the king of Israel, saying, "Now when this letter has come to you, behold, I have sent Naaman my servant to you, that you may heal him of his leprosy." 7 It happened, when the king of Israel had read the letter, that he tore his clothes, and said, "Am I God, to kill and to make alive, that this man sends to me to heal a man of his leprosy? But please consider and see how he seeks a quarrel against me." 8 It was so, when Elisha the man of God heard that the king of Israel had torn his clothes, that he sent to the king, saying, "Why have you torn your clothes? Let him come now to me, and he shall know that there is a prophet in Israel." 20 But Gehazi the servant of Elisha the man of God, said, "Behold, my master has spared this Naaman the Syrian, in not receiving at his hands that which he brought. As Yahweh lives, I will run after him, and take something from him." 21 So Gehazi followed after Naaman. When Naaman saw one running after him, he came down from the chariot to meet him, and said, "Is all well?" 22 He said, "All is well. My master has sent me, saying, ‘Behold, even now two young men of the sons of the prophets have come to me from the hill country of Ephraim. Please give them a talent of silver and two changes of clothing.’" 23 Naaman said, "Be pleased to take two talents." He urged him, and bound two talents of silver in two bags, with two changes of clothing, and laid them on two of his servants; and they carried them before him. 24 When he came to the hill, he took them from their hand, and stored them in the house. Then he let the men go, and they departed. 25 But he went in, and stood before his master. Elisha said to him, "Where did you come from, Gehazi?" He said, "Your servant went nowhere." 26 He said to him, "Didn’t my heart go with you, when the man turned from his chariot to meet you? Is it a time to receive money, and to receive garments, and olive groves and vineyards, and sheep and cattle, and male servants and female servants? 27 Therefore the leprosy of Naaman will cling to you and to your seed forever." He went out from his presence a leper, as white as snow.